Born into a nomadic tribe, Seoni is gifted with magic and driven by dreams to explore the mysteries of her supernatural heritage. She is adorned with dozens of runic tattoos that indicate her high status in her tribe and aid her spellcasting. 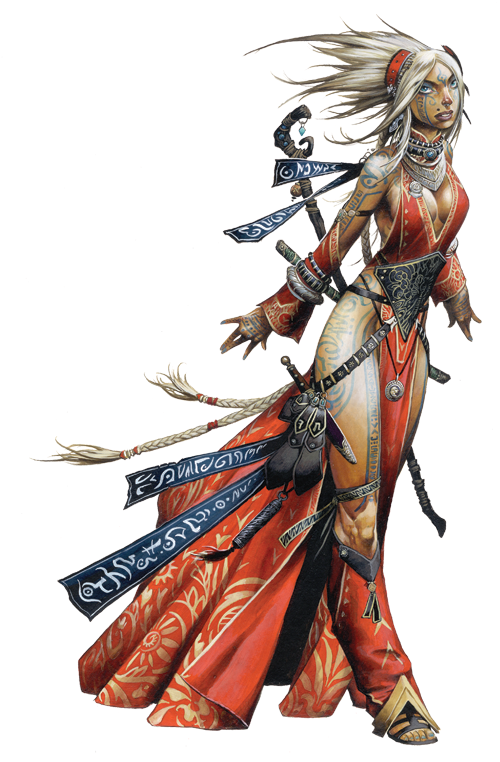 Would you like to learn more about Seoni, the Iconic Sorcerer? Read her Meet the Iconics entry over at the Paizo blog, or any of the other blog posts that mention her!